The attacks in Paris brought on a wave of reporting, speculation, and chatter on social media — the sort of news environment First Look Media’s newest venture is designed to sift through when news breaks. Ellis, Justin. "Reported.ly puts its social-first journalism model to work covering the Charlie Hebdo attacks." Nieman Journalism Lab. Nieman Foundation for Journalism at Harvard, 13 Jan. 2015. Web. 19 Apr. 2019. Ellis, Justin. 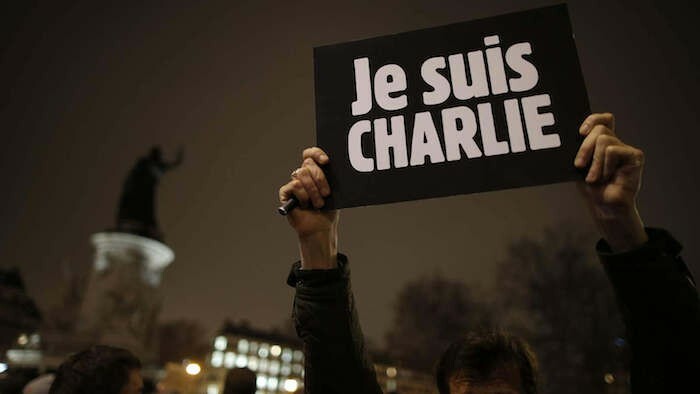 "Reported.ly puts its social-first journalism model to work covering the Charlie Hebdo attacks." Nieman Journalism Lab. Last modified January 13, 2015. Accessed April 19, 2019. https://www.niemanlab.org/2015/01/reported-ly-puts-its-social-first-journalism-model-to-work-covering-the-charlie-hebdo-attacks/.